The cheers of “Beat Boston” echoed through my television screen as the Lakers finally notched a 101-92 home game win over the Celtics to snap an eight-game losing streak. Newly acquired players Kent Bazemore and Marshon Brooks put on a show, combining for 29 points off the bench. Fans were sad to see Steve Blake suddenly be handed off to the Warriors on Wednesday, but this win — the team’s first home win since Jan. 3 — made that trade much easier to swallow. The matchup may not have been the best with both the Lakers and Celtics hovering at 19-36 and 19-37, respectively, but don’t tell the fans that. Trailing the entire game, the Lakers gutted the Celtics for a 22-point swing in the fourth quarter with the lineup of Jordan Farmar, Marshon Brooks, Kent Bazemore, Jordan Hill and Chris Kaman. And it was incredibly fun to watch. 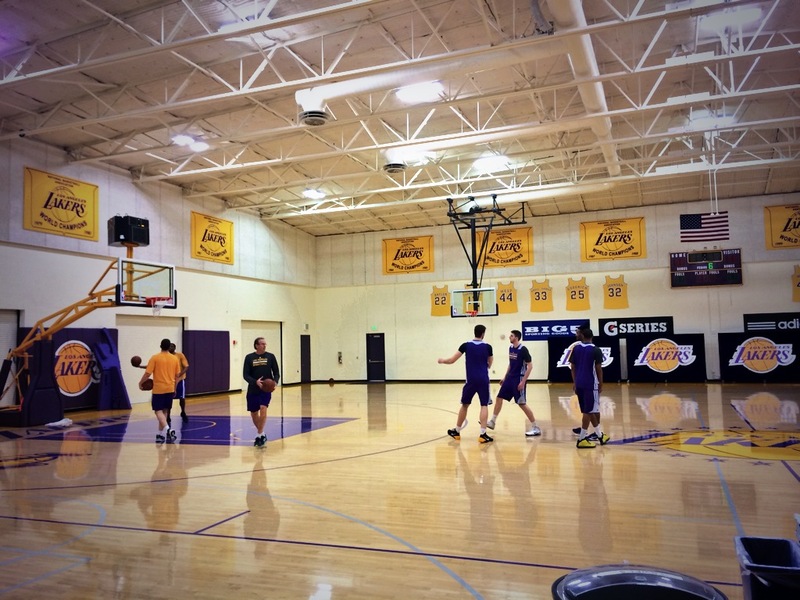 Bazemore sunk up a couple threes, Hill swatted a few shots and Kaman cleaned the glass. By the end of the fourth, “Bazemore and Brooks” was trending locally on Twitter. Not to rain on the parade, but the Lakeshow will most likely be dropped hard back to reality against Indiana in two games. However, next up on Sunday, the schedule says Brookyn. Think the purple and gold magic has a shot? How long will it take for the fairy dust to wear off? Let me know on Twitter: @alyshatsuji.